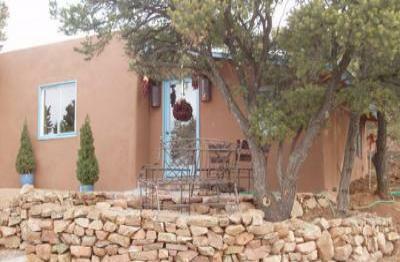 Our quiet casita is located in the eastern foothills of Santa Fe. Fe has to offer, then please contact us at the web site provided. dryer, iron and ironing board, CD/clock and phone with unlimitd U.S.
separate casita on five wooded acres on a private, gated estate.